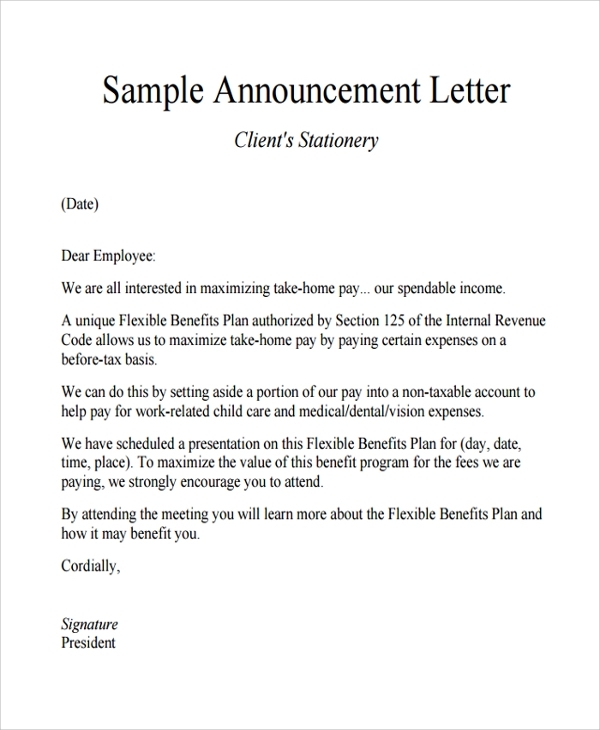 A sample announcement letter is to help you develop a mere idea of how to write the letter. 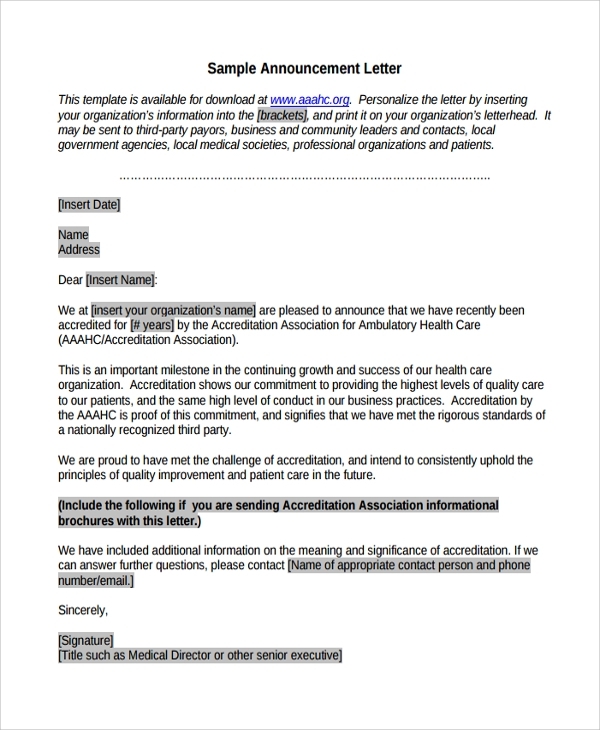 You may download this sample format too, and develop a letter by working on it. 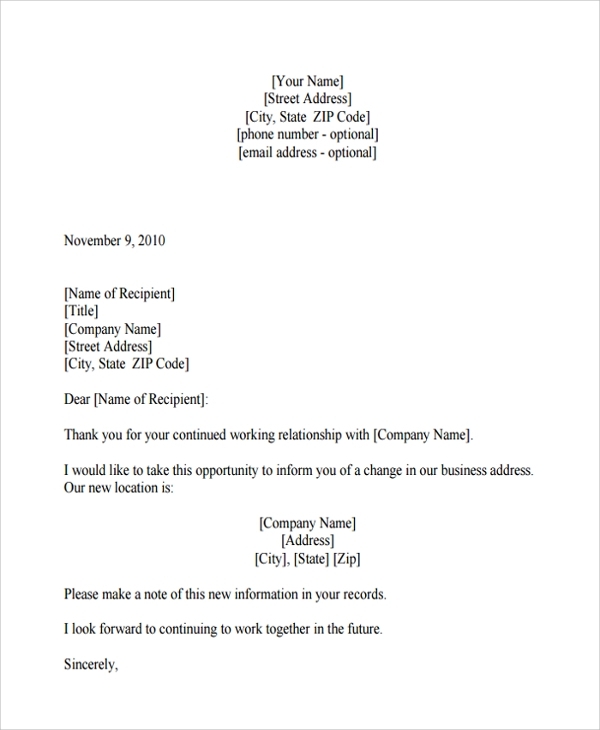 The sample letter format is to suit all types of announcements and is not made specific to any domain or purpose. It’s just for example. 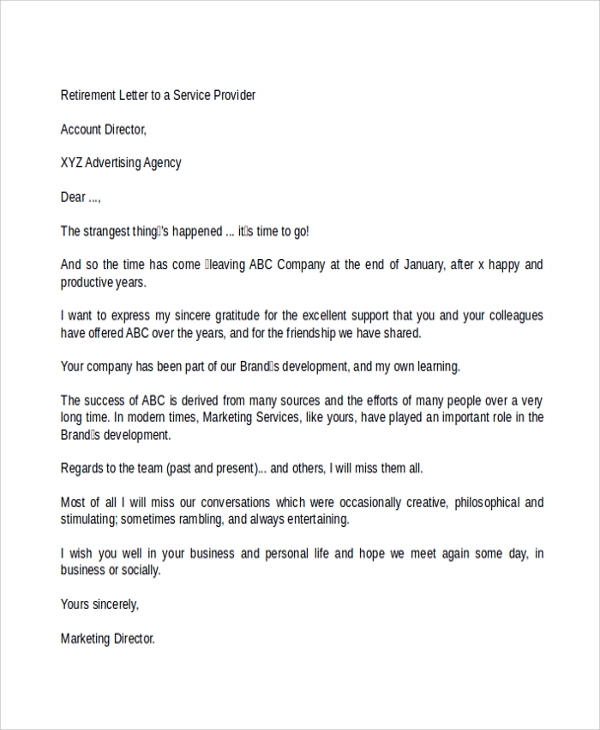 If you are retiring and want to announce it, or if you want to announce the retirement of some other member of the office, then this format will be required. 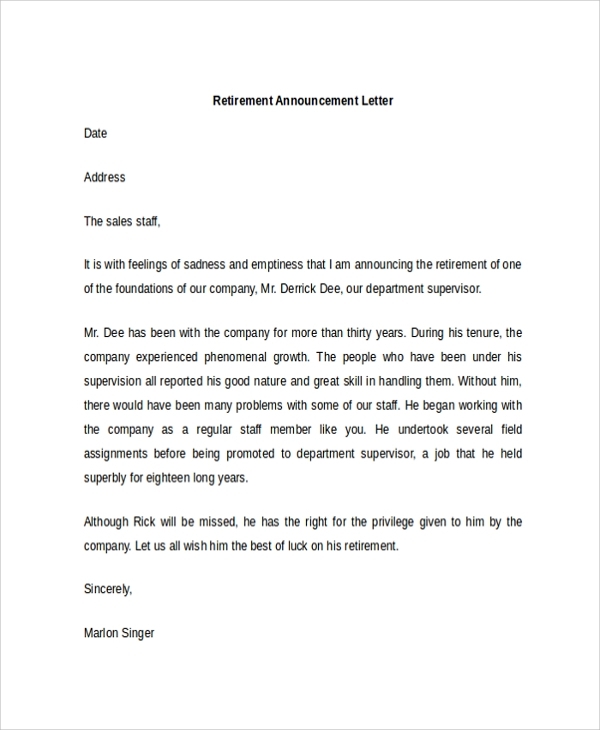 You can add information about the retiring person to make the announcement personalized. 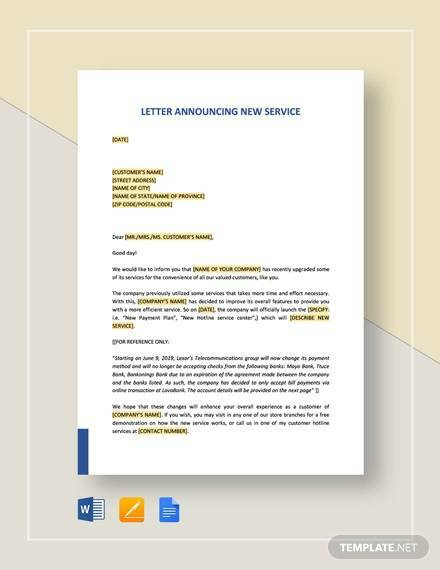 If you are announcing a certain change in company policy, work policy, some rules or some payment alterations etc to the client, then you can always use this format to frame the letter. This will help you develop the letter body wherein you may tuck in other relevant details to finish it. 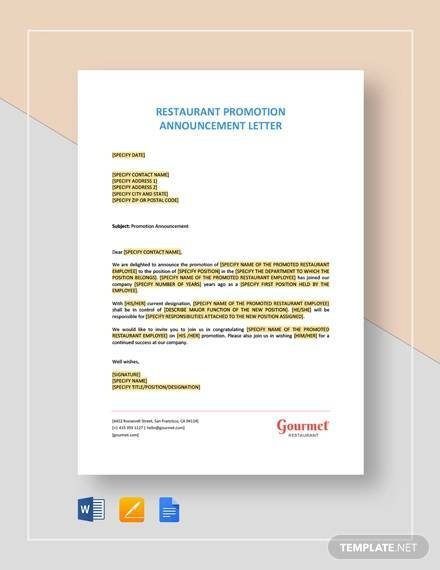 The announcement letter format is needed for various reasons. If you have it in the mind and are not able to frame the right words, you would need the format. In fact announcing has a special style, and you just can’t yell and finish it off. 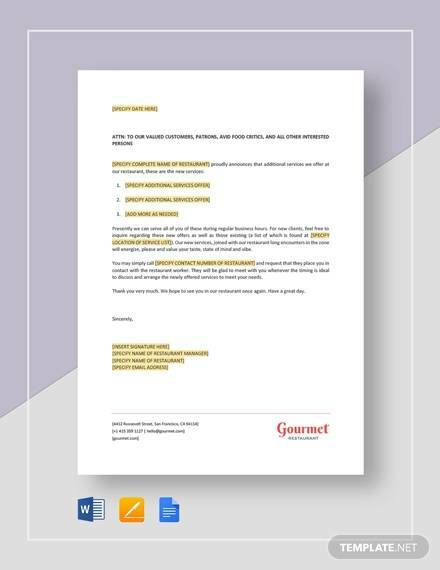 To complete the process formally you must get the announcement properly made into a Formal Letter Format Templates. This avoids the chances of misunderstandings and misconceptions and irrelevant gossips. 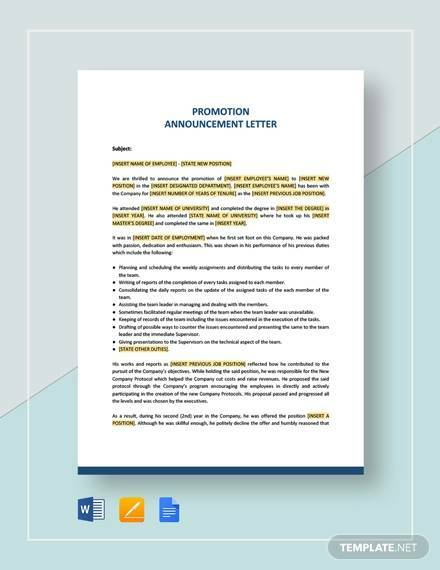 If challenged, you can also prove any point later on by showing the real announcement letter. 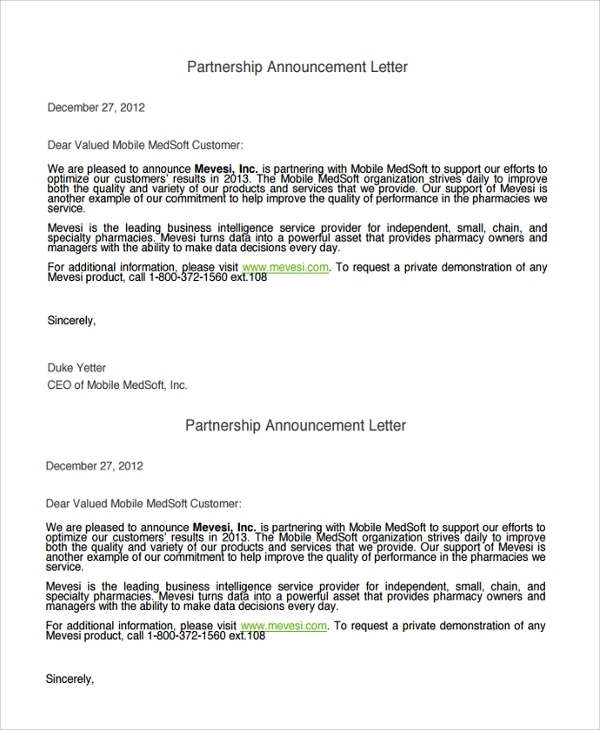 If you are announcing something it must be formally done. In case you do not give it in writing, a number of problems may creep in. You may be misinterpreted, or the whole concept may be misunderstood. Values and information you project may get altered by word of mouth, and many misconceptions and misunderstanding may result in confusion, conflicts, and problems in the organization. That is why a properly made format to announce something is needed. 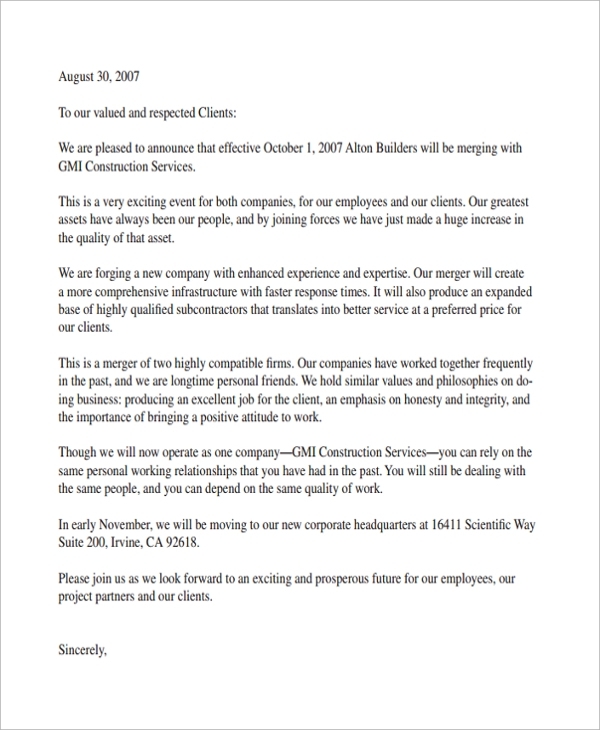 The best ways to use the announcement letter templates is by surfing online for the right template you need. If you are not sure you may read on to see which one suits your needs. When you get the right format, simply download it. And then you can start customizing. 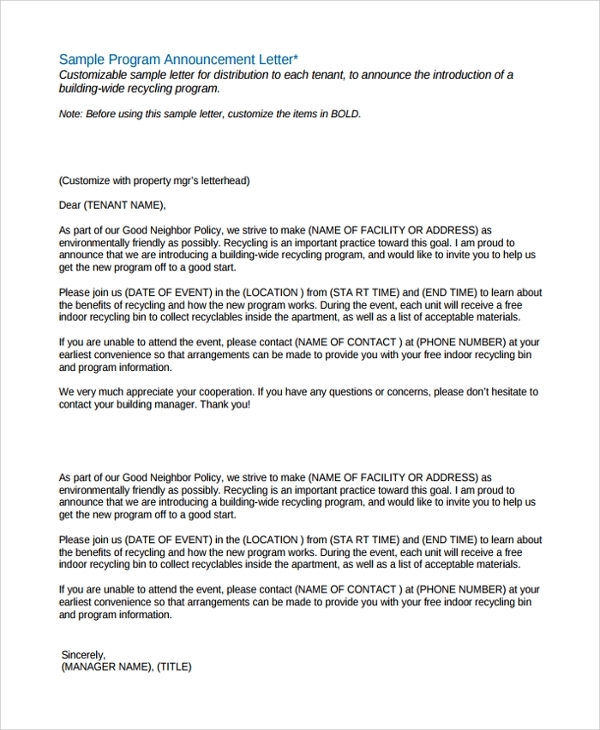 You will want to keep the style and Proper Letter Format same, and would want to add in details of the event or announcement or news. 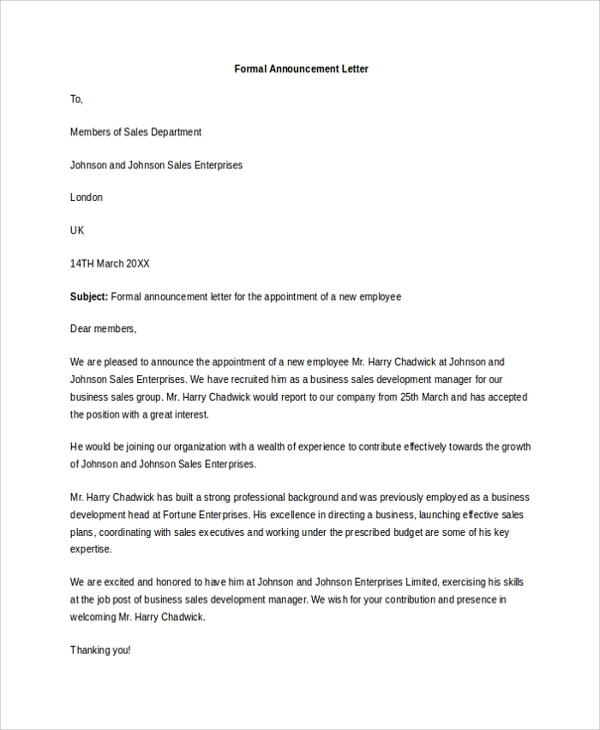 That is how you make a full fledged announcement letter ready in minutes through the help of online templates. 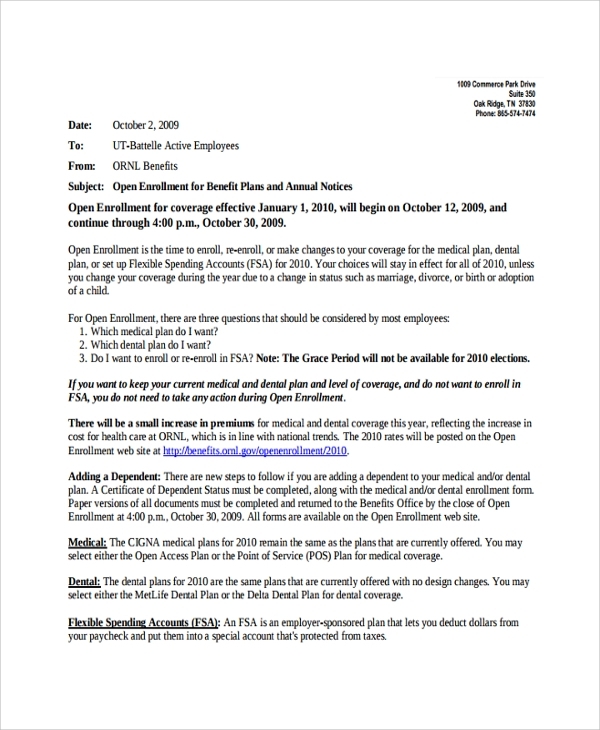 When you have the templates ready making an announcement is no pain. Just fill up the words in fields to get the format ready for announcing. You can use the same format to make different letters by using the same pattern.